There is a method to his madness, and -tone- lays it all out. The DoD has made a custom torpedo sight based upon scores of torpedo runs in the SE AWT arena. Our unqualified and unmatched success in the recent Midway scenario illustrated the effectiveness of the DoD in torpedo operations. This sight works best at shorter ranges than Swit's (which I find misses ahead at short ranges for me...perhaps due to the torpedo taking 3 seconds to fall while still making 150 MPH headway). This sight has a long sighting pipper, and smaller hashmarks for approximate placement at the head and tail of a carrier for a suitable dropping distance. Download for low-res (place in your WarBirds folder). Download for hi-res (place in your WarBirds folder). This sight works for WB 2.77. 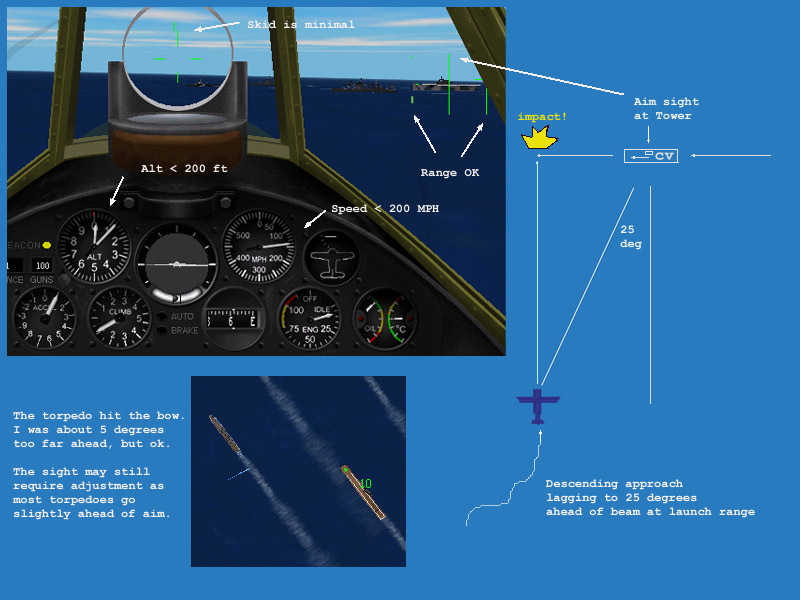 As WB III progresses, sight art will be developed for the emerging 3D cockpits. Copyright © 2001 The Dweebs of Death. All rights reserved.  Warbirds is a trade and service mark of I Enterntainment.